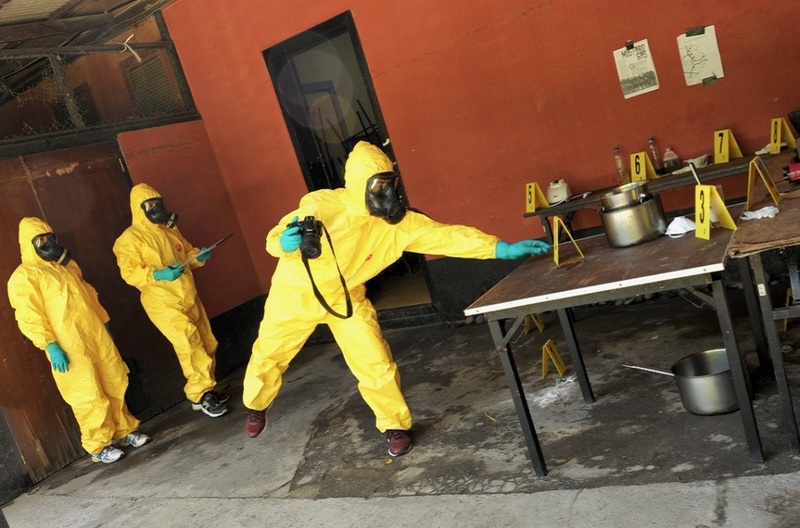 The presence of toxic chemicals poses a serious risk of death or injury to law enforcement officers who are required to investigate contaminated crime scenes. This added danger requires officers to use special protective equipment and employ different skills to safely recover forensic evidence needed to identify and prosecute those responsible. Law enforcement officers are required to work closely with other agencies and possess the capability to respond with appropriate equipment to safely decontaminate personnel, evidence and toxic crime scenes. The Chasm course is designed to enhance the capability of law enforcement crime scene examiners in dealing with chemical and/or explosive contaminated incident scenes, outlining appropriate safety procedures and internationally recognized standard sampling techniques, while working in a highly dangerous crime scene environment. 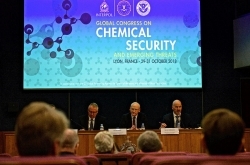 The course also aims to strengthen the ability of law enforcement agencies to investigate chemical attacks, manage chemical crime scenes and forensics protocols, and to foster cooperation among law enforcement agencies within the region.